There are many types of equipment available for athletes and fans. Sports climbing are one of the more exciting sports, since it represents challenges, compared to many other types of sports. There are must-have equipments that we should get to allow us advance to the next level. Advanced climbers also need to replace their current, aging equipments. If we take good care of our equipments, in turn, they’ll take care of us. It is a universal truth and applicable for any branch of sports. There are some basic suggestions that we need to follow, such as never drop metallic equipments to hard surfaces and we should always wipe off mud and dirt after we use these equipments. Rock climbing shoes are among the most essential tools we need for sports climbing. We should be able to choose them correctly and be prepared to invest money and time to obtain ideal shoes for us. Some beginners choose tight shoes, thinking that it will make them feel comfortable during climbing sessions. However, this could cause us to feel some discomfort and we may start to lose our focus. Good shoes should be able to stretch and choosing the proper ones should be an ideal solution. We should be aware that among the most important factors are to feel comfortable and confident about the durability of our shoes. We should choose one pair that can easily withstand a lot of abuse and use. Wearing climbing shoes can be tough on our feet at first. However, we will find that shoes with substantial rubber rand on the outside, supportive soles and stiff structure are a wise buy. To support and protect our ankles, we could choose high-cut shoes. However, if we want to wear more varied shoes, we could choose different shoes. However, for beginners, all-purpose shoes are more preferable. They can be used to deal with many rock climbing situations. We may choose all purpose shoes that are cut high, so they can be both protective and comfortable. Slippers are also important equipments during sports climbing, but they are often not ideal for new climbers. They are useful for advanced climbers who can deal with overhanging stuff and thin soles are useful for maximum sensitivity. Slippers could also wear and stretch easily. Beware that slipper give us limited ankle support, but it may attach on our feet like a second skin. The next thing to consider is Belay Device and it is commonly used due to their light weight and ease of use. Helmet is essential and it can protect our head from injuries due to falling rocks and bumps. It should be noted that helmet that has taken major blow should n longer be used and older ones can become brittle and need to be replaced. We should choose proper climbing harness that can secure us to pieces of rope in abseiling and climbing. When we tie-in, harness can also be used as chair. 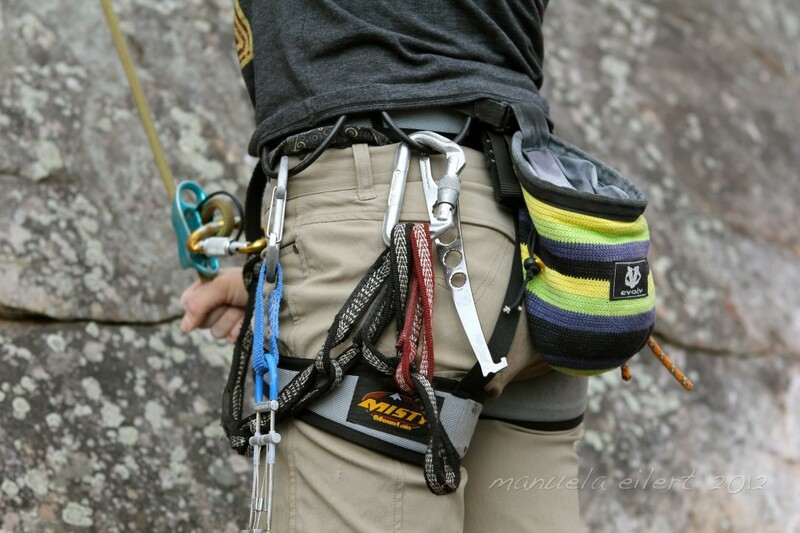 However, indoor climbers should use minimalist harness to ensure comfort. Previous How We Should Test Drive A Used Car? Next How To Warm Up Properly?